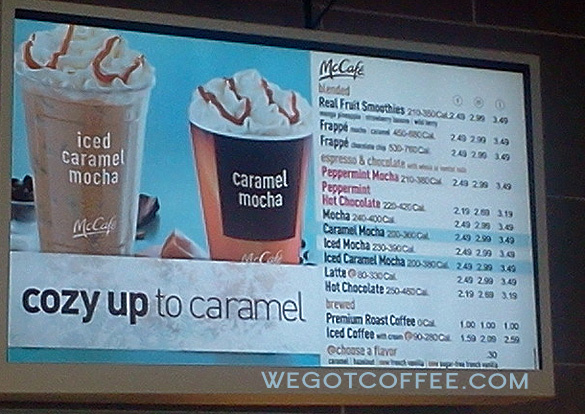 November 2012 – Photo of the McCafe menu as seen inside McDonalds. The drinks are for Fall and Winter and feature both coffee, and non-coffee drinks. 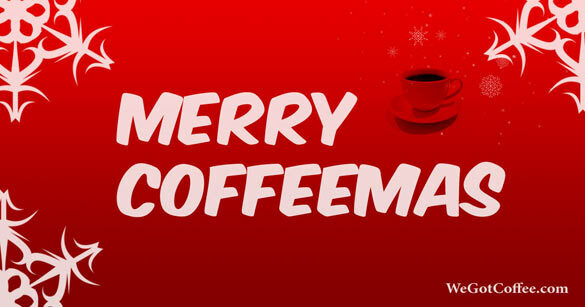 Included this year are the Peppermint Mocha, and Peppermint Hot Chocolate. The other seasonal drinks are the egg nog shake. The menu is on a flat screen and changes the side images every 10-15 seconds or so. We reviewed the Peppermint Mocha from last year, complete with photos. See photo for the complete list.